Socialism is in the air! A major proportion of the population (almost 2/3rd) use Facebook and Youtube most of the time and young adults especially, are heavy users of Snapchat and Instagram. The 2018 count of global internet users exceeds 4 billion (4.021 billion), and up 7% year by year. Social media users worldwide (2018) accounts for 3.196 billion, rising by 13% year on year. Mobile phone users exceeded the race by possessing 5.135 billion users count, up 4% year on year. In this digital era, don’t you agree that masses today keep their smartphones and e-devices as near as an arm’s distance to be active socially 24/7? The social media wave has put a great influence on the majority where Americans now prefer to use social media channels to grab news where the newspaper takes a back seat. 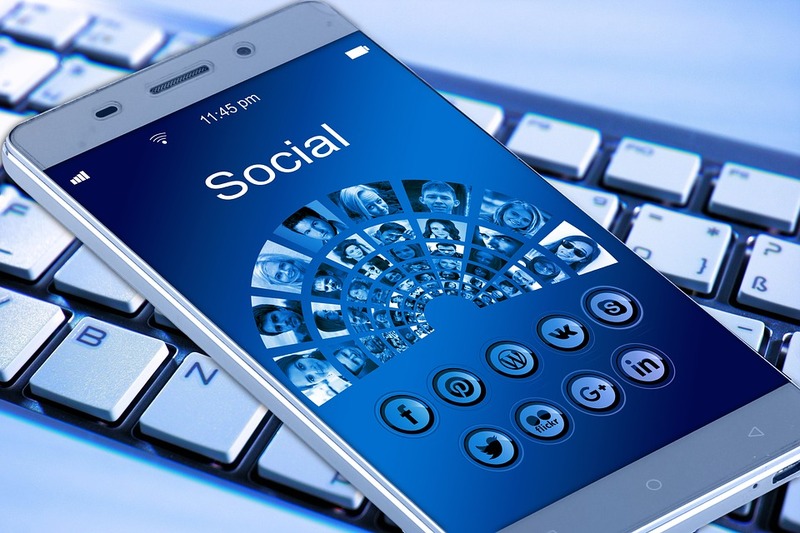 Having been enlightened by the surprising facts about social media, it becomes vital for marketers and entrepreneurs to analyze the power of Socializing to strengthen up your marketing plans and tactics to get the best of your attempts. Take a look below at the five significant social media optimization tips those when adopted by business owners can enhance their progress, sales, and ROI at a monumental pace. Undoubtedly, whosoever is familiar with these viral trends definitely gained insights about them via social media. So, businesses can you afford to have a lack in your SMO strategies? 28% of the brands confess that they don’t possess a strong social media strategy which acts as a barrier from being big social businesses. Thus, optimization of your social strategies becomes the hourly need where you must define your goals and objectives in a result-oriented way. After all, the fight is for a long-lasting existence and a powerful customer base. A workable and well-documented strategy in place can help you analyze your progress-barriers and identify which areas need close attention. Your Content is the Overlord; your Content is the King. Content drives your Social Media too. If you need a high ranking and proper recognition, optimize your content on priority. If it’s useful and knowledgeable, indeed, it will enhance your website traffic, and once your highly designed content comes in the eyes of SERPs, you will be visible worldwide. Information of any type, not only occupies space in the form of posts and blogs but is also accompanied by images, GIFs, stories as well as videos. So leave no stone unturned and optimize all your data to be listed on Page 1 of Google Search, Google Images, and Google Videos. Today, no business can afford to take a risk over the content quality to target the right audience type. And, for a win-win situation, one can look upon Content Marketing Courses Online to strengthen up your content strategies to outreach the world with compelling and appealing data. #NetflixCheating campaign, when launched, gained huge popularity only because they created original graphics to share on Twitter. Now and then, they continue to grow, being raw, unique and entertaining. How often you get time to look at blog posts or videos unless they grab your attention or get viral or is trending over the news? At present, a majority of people get time before or after working hours or maybe in their free time. This time-dependent feature depends solely on your targetted audience and the social media site you are using. Today, there are various tools available in the marketplace that can help you calculate the best time to post on social accounts to gain the highest engagement from users. How frequent should Posts be added on Social Media? Along with the timing, your frequency must also be aligned well. Yes, we want to cover every individual from every nook and corner of the world to see your content, but never annoy them by bombarding your followers’ timelines and accounts. Stay Organized, Stay Updated and Stay Social! Your company has a Facebook and Twitter page. You have a presence over Instagram. Still struggling to attract traffic and gain visibility? Then, you probably need to rethink about your social media strategy and make significant alterations where needed. Applying unethical ways or getting fake likes will make all your efforts go in vain. The real connections and interactions you make with the users are what counted at last. Google keeps it fair for all and to escape from Google Penalties, keep it raw and more of real to put a positive impact over search engine crawlers. This calls for you to grow the follower’s network organically way by consistently posting engaging content, informative articles, enlightening tips, useful facts, entertaining and knowledgeable videos to get your audience hooked up with you for long. Oreo today places an excellent example of a robust customer base where it enjoys its popularity from 42 million Facebook fans, 14 million YouTube followers and 599k fans on its Instagram social account. The brand very well knows how to trickly hit the public on social grounds and when and where to play its game-changing move. You create strategies, design content, optimize it, publish it and check for results. Where do the external links have a roleplay then? Again, the content and its quality dominates and derive external inbound links. Unless you create useful and relevant content, who would link up with you? Once people start appreciating your publications, they will give you their vote of trust, and they will support you with the backlinks. This will help you gain authority by Google where your efforts will be seen as validations by SERPs, thereby awarding you with a good position in their index list. So, just keep on posting engaging pieces of information on social channels and promote them by sharing those into existing threads and discussion forums. You get questions on your social media, refer them to your site with the answers. Refer them to your contact page with the hours. Share the link to your product page. Direct them to the embedded map on your site. Send them to your support page. Your business starts with the customers and ends at the customers, so why not do your best and deliver the best? Your part is to think creatively, and you’ll be able to land people to your site navigating left and right and increasing the likelihood of conversions. Once, good with conversions, your users will increase, and ultimately your business will expand. Data Recovery Services: Why is it So Important?